CHECHESMITHNATION : Colour Matching Behaviour: Beyonce And Bolinto Slayed Rocking Canary Yellow Paired With White! Colour Matching Behaviour: Beyonce And Bolinto Slayed Rocking Canary Yellow Paired With White! 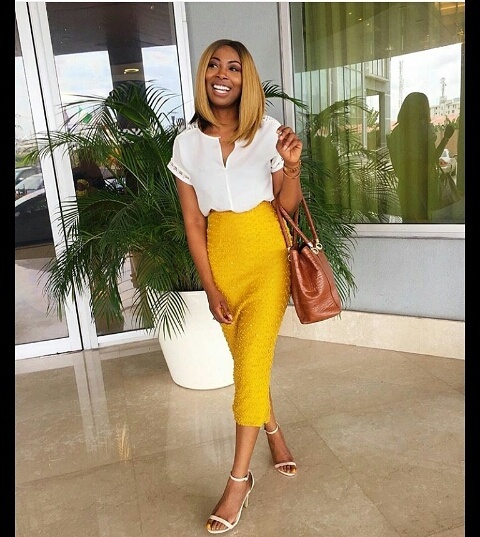 Bolinto rocked this white blouse tucked into a fitted canary yellow skirt teamed with single strap helped sandals and a brown leather bag. Beyonce matched her canary yellow pants and hand bag paired with white inner top covered with white jacket...and a straw hat to glam things up.